"For centuries problems of mankind have been solved over a cup of tea. Whether they were problems between nations, amongst businesses, even in families, between husbands and wives, tea has been the soothing balm that helped their solution. The simple act of pouring a cup of tea is, in itself, an ice-breaker; providing pleasurable anticipation of the goodness that is to follow. 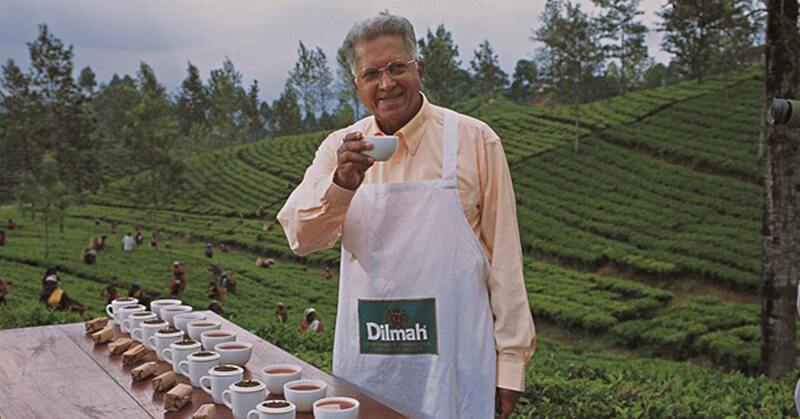 I have dedicated my life to providing that cup; not only to solve problems but to add sunshine, to your day, with every sip of my Dilmah." Recently tea drinkers have renewed their interested in tea, once again appreciating this elegant herb’s sophistication and natural goodness. There is a powerful emotion that the act of pouring a cup of tea evokes. A cup of tea naturally promotes either conversation between people or quiet reflection in an individual. Tea was originally a medicine and later grew into the popular beverage it is today. Its protective health benefits cannot be stressed enough as modern man has also discovered its potency of antioxidants. The benefits of tea include reducing the impact of stress, of protecting us from every chronic disease, from Alzheimer’s Disease, Parkinson’s Disease, its ability to strengthen the immune system, to fight cholesterol, and the naturally stimulating function of L-Theanine – are essential for a 21st century lifestyle. Research has found that the antioxidants in green and black tea are much greater than the levels found in fruits and vegetables. As a general rule it is said that two cups of tea are equivalent to five portions of fruit or vegetables, in antioxidant capacity.